Looking to return to top tier prototype racing for the early 80’s, Peter Sauber partnered with engineering firm and composite materials manufacturer Seger & Hoffman to build SHS C6. By now, with the FIA having announced their plans for the upcoming Group C category to run in the World Sportscar Championship, Sauber’s aim was to build a car that would compete against the like of Porsche’s 956. He enlisted additional help from engine specialist Heini Mader to develop the 4.0L Ford Cosworth engine, and a body that had clearly seen the inside of a wind tunnel. The Sauber C6 in particular took a vast leap in design and performance to meet the Group C specifications for 1982, but would see limited results through its effort across the season. Despite financial backing from chemical giant BASF, Sauber was still a comparatively small outfit when parked alongside Porsche or Lancia factory teams, but Peter Sauber took one step closer to a World championship contending effort when he turned to Mercedes motorsports engineers in hopes of securing factory backing. The Stuttgart eggheads had been lying dormant, still operating in the shadow of Le Mans 1955 which had turned the word ‘racing’ into taboo. The partnership was private, and low key, but hugely important for the future of the team. 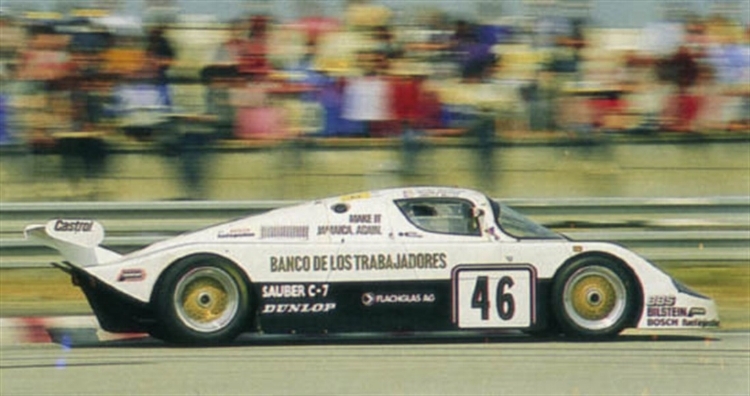 Following the completion of the 1982 World Sportscar Championship season, Sauber took the 10 championship points to his name and used it as motivation to develop an improved racing vehicle for 1983. The C7 would do away with the Ford Cosworth V8, and instead replace it with a 3.5L BMW inline 6 aided by a pair of KKK turbochargers and a 5 speed manual gearbox. 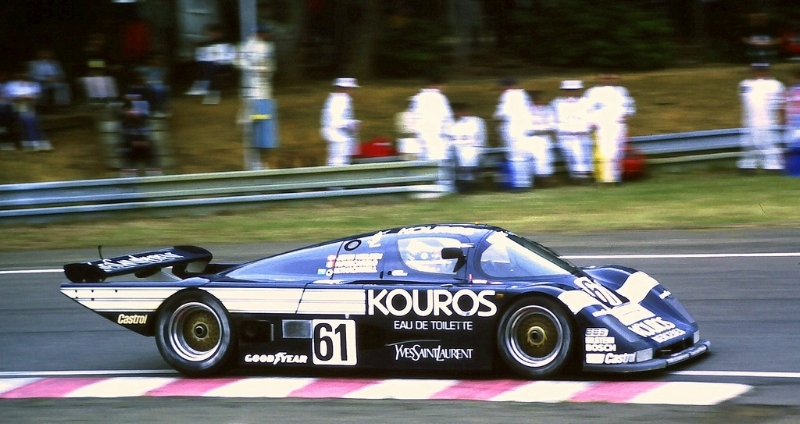 An engine program that initially failed as a powerplant for the C6, did not serve the C7 much better, save the highlight of their season at the 1983 24 Hours of Le Mans. Remember that ad slogan Porsche debuted following their absolutely dominating performance at the famed race? Nobody’s Perfect they said. A true statement, but one prompted by a lone pockmark in the near-top 10 lockout; a C7 taking 9th place overall. Sauber halted his team’s participation in the WSC beyond 1983, and sold the C7 chassis to an El Salvadorian team who ran it in IMSA GTP for a few years. Sauber took 1984 as a year off, developing the C7 successor, the C8. There was a difference this time around developing a race car. He was working in concert with Mercedes-Benz engineers, and had support from the MB motorsports division back in Stuttgart. Sauber desperately wished to use their brand new wind tunnel facility to aid in the design of the new body. Mercedes was clearly impressed by what Sauber had brought to the table and rewarded him with an exclusive engine deal. Although in the years leading up to 1985 the partnership was kept largely under wraps, Mercedes involvement was now officially classified as an engine supplier, and no longer a secret. However, they were not interested in a putting money behind a full-fledged racing effort quite yet, and relied on Peter Sauber providing the chassis, and run the development and racing operations. With that agreed upon, Peter provided a prototype C8 chassis basely upon the C7 architecture, aside from modifications to accommodate the new engine. Mercedes provided a production based M117 5.0L engine, donning twin KKK turbochargers.